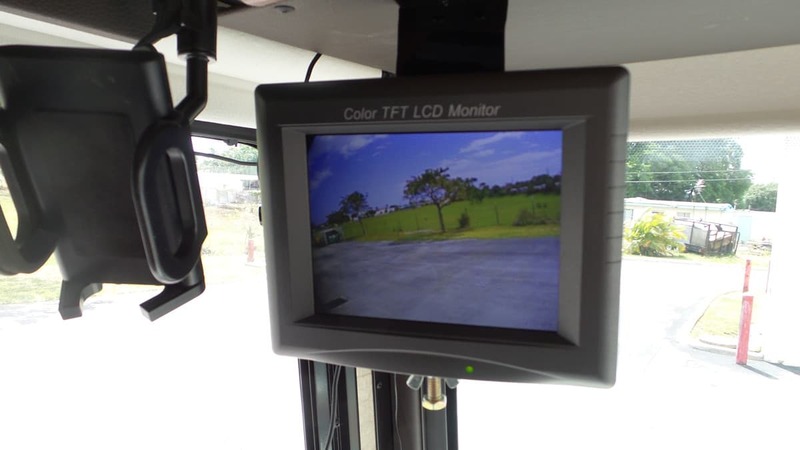 A couple of bullet-style CCTV cameras, a small LCD monitor, and a video switcher make driving an RV motorhome much safer by providing a live side view video feed to the driver. 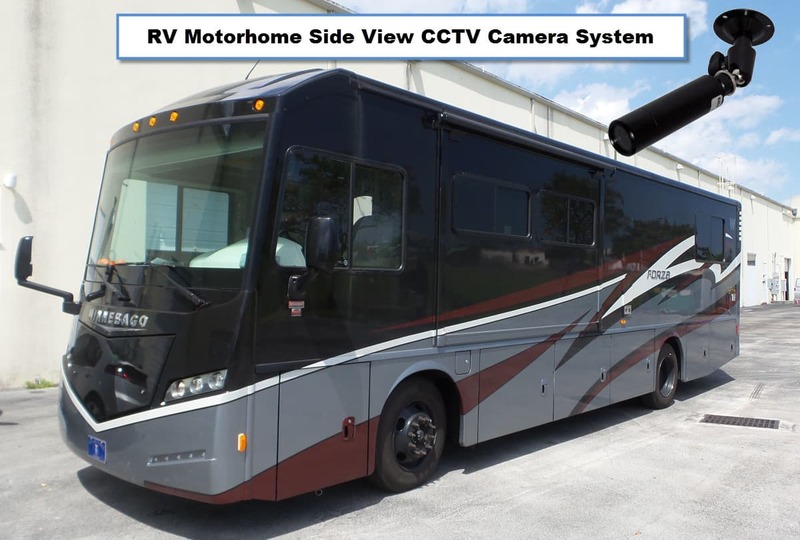 CCTV Camera Pros was recently visited by one of our customers that built a driver view camera system for his motorhome. 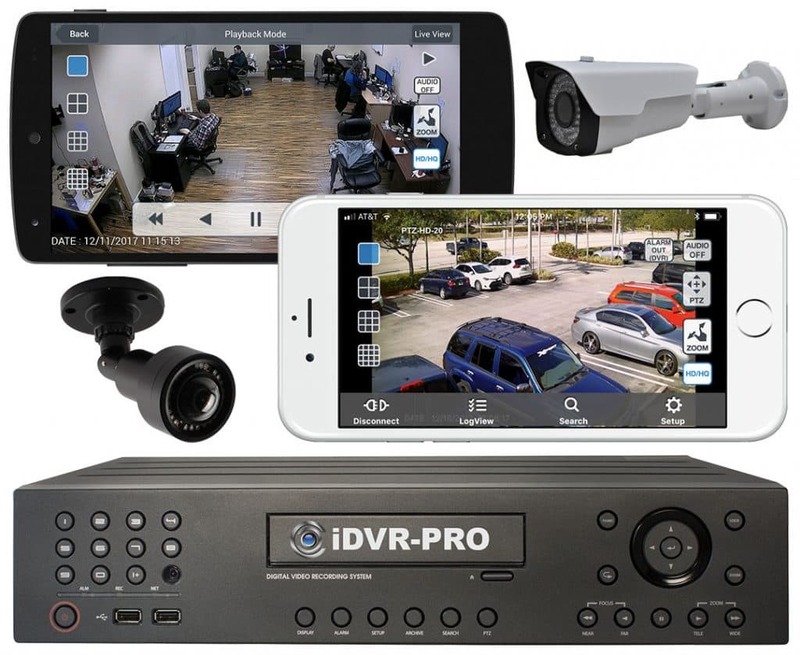 We love hearing stories about how video surveillance equipment is used in applications other than security and it was great that one of our customers was kind enough to stop by to show us his project in person. Our customer, Joe, was finding it very difficult to get a clear side view when driving his RV at intersections that were angles other than 90 degree. 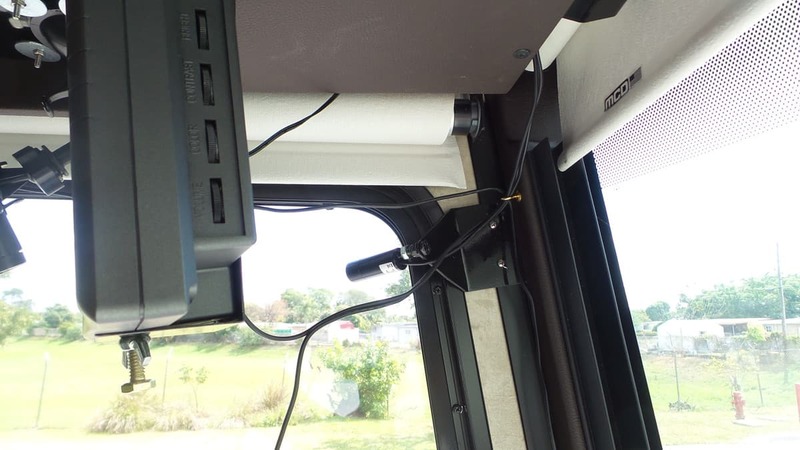 Joe told me that before installing the side-view cameras, he actually needed to unbuckle his seat belt and lean way forward and to the side in order to see if any vehicles were coming. This is how Joe solved this problem using CCTV cameras and a video switcher that he designed. 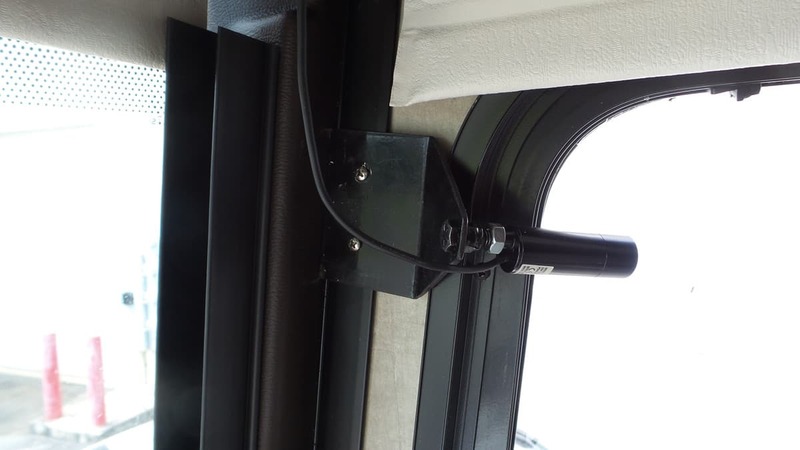 A two bullet-style CCTV cameras were mounted on the inside of the RV, one pointing out of the passenger window (pictured above) and one out of the drivers side windows (pictured below). Thin coax jumper cables are used to run the video back to a switcher that Joe built so that he can control which video feed is displayed on the monitor that is mounted next to his GPS system monitor. 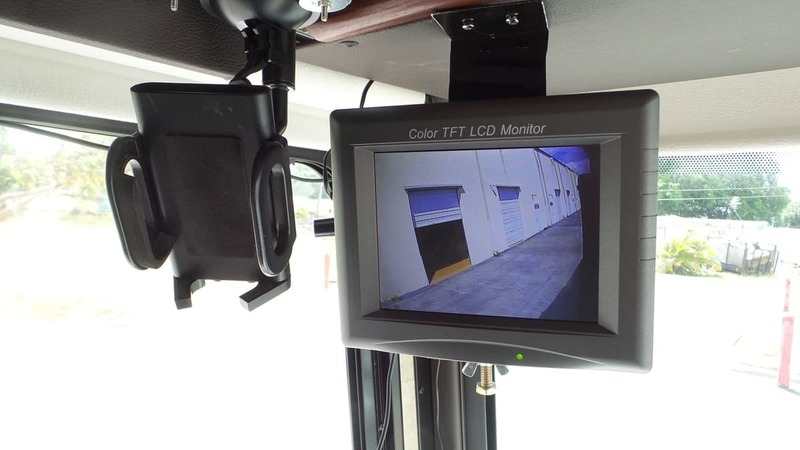 Here is the 5.6″ LCD monitor is used to display the video feeds. It is actually a CCTV test monitor, but works great as a small utility monitor for projects like this. Here is the video switcher that Joe built so that he can switch the monitor display between the left and right cameras. 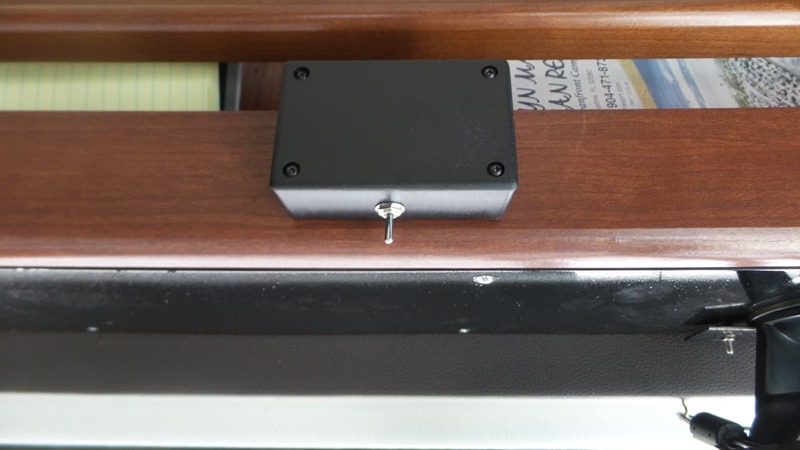 The video switch is mounted just above the drivers side door, so that it can easily be accessed by the driver. I thought it was awesome to see this system in action. 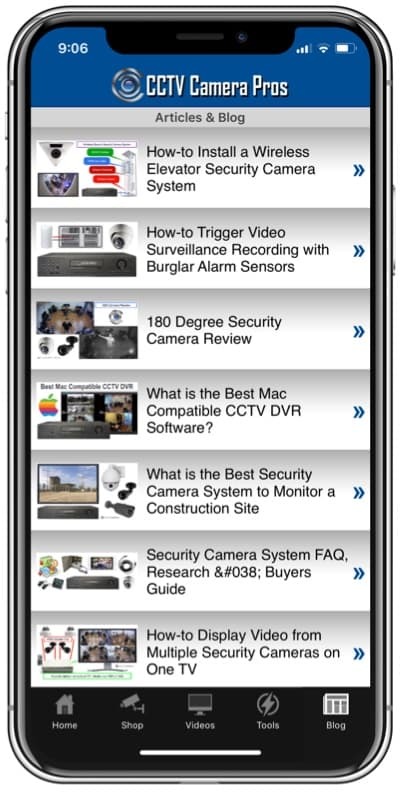 I am so glad that Joe stopped by to share it with CCTV Camera Pros. Thanks Joe!